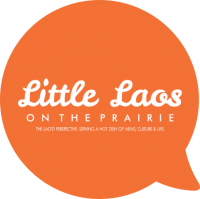 On November 15, 2012 the Lao Student Association (LSA) at the University of Minnesota will be holding an event all about Lao culture. This year they are focusing on the “customary ways of Lao dining.” Not only will there be free food, but the student group’s vice president, Kerry Fongthavisay (pictured below), will go over highlights of her Summer 2012 trip to Laos. L->R: Alex Phasy, Alyssa Vilaysack, Thuy Dinh, Christina Chanthamontry, Kerry Fongthavisay, Michelle To, Donna Southa, & Ben Sinchai. Why? So you can learn about Lao culture and enjoy great food doing it! Previous PostLao Community, Get Out and Vote!